Author's notes for the science-fiction novella in the Killgrace series, including playouts of the chess games, and more. Sometimes old, unwelcome, acquaintances can take a lot of your time, (along with other dimensions...). This article covers author's notes, character issues that did not make it into the book, and playouts of the chess games so readers can follow along. A soft sci-fi story with a psychological bent, Susan and Cet run into an opponent that they can't overpower. 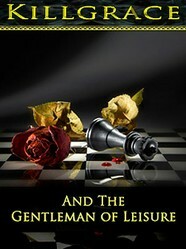 Revolving around a chess game, played on and off the board, Susan has to out-think her opponent. Cet's been taken off the board early. The articles below this point may reveal some plot points or ideas explored in the story. If you want to remain completely unspoiled, read the book first before you read the below. This is not hard sci-fi, but I always wanted to write a story where the action is purely character driven and psychological. This was my excuse - and a chance to introduce an ongoing member of the supporting cast. This was a tricky story to write, since the entire action takes place over a chess board between two players with an unknown and extensive history between them and has to be carried by character. The Gentleman will appear again. The working drafts of the sequels, Perfect Gentleman and Gentleman Adventurer are complete and in editing (the bit that takes the time). However this is later in the time-line, and events have changed the situation, if not the power balance, quite a bit. After all, what he is really playing is politics. His problem is a simple one - boredom. After all, if he can do everything, why should he do anything? Folded chess set poster. M.c. Escher at his best. Great for the graphic art fan, the chess, or the fans of optical illusions. 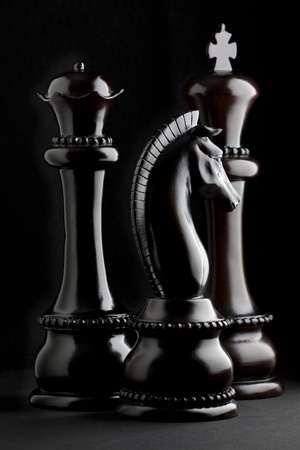 A key part of the story revolves around a chess game. 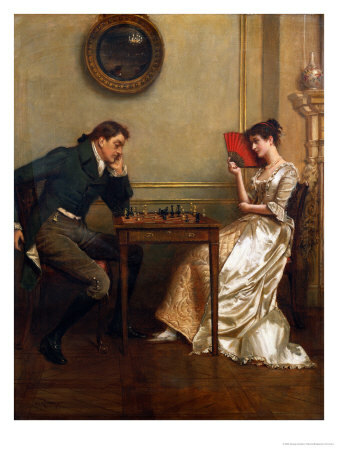 I am not a great chess player - I still get taken by scholar's mate on occassion - so researching the great chess games in history was key to the plot. Finding the right one was difficult. The most famous, and the one I was tempted to use was the actual Immortal Game, an 1851 game between Adolf Anderssen and Lionel Kieseritzky. However it was too well-known, used in fiction in a number of stories (including The Immortal game by Poul Andersson), and did not quite have the reversals - or ending - I wanted for the story. You can see it played out below, and explained. The second game of chess they played was more obscure, but needed to be described move for move. I had to find something slightly obscure for the plot point to work, and to my surprise there was a game that fitted the described and Susan's playing style, perfectly. I also found an antiquated chess book that referred to it as an Immortal Game. This was one of a series of games between Alexander McDonnell & La Bourdonnais in 1834 with a rather unique endgame. It was only after picking it, I found out it was the favourite chess game of a very well-known chess player. Warning: Watching the video below will spoil the ending once you get about halfway through the story. On the other hand, it also lets you follow the moves as events play out, on and off the board. Who wanted to win more? Here's one for people who have read the book - no spoilers please!